Minority Rights Group International (MRG) and the European Roma Rights Centre (ERRC) express disappointment with today’s decision of the European Court of Human Rights in Bagdonavicius and Others v Russia, concerning the eviction of six Roma families living in Russia. MRG and ERRC welcome the Court’s finding that the evictions were illegal and therefore in breach of Article 8 of the European Convention on Human Rights, which protects the right to respect for private and family life, and the family home. However, they express concern that the Court failed to find the actions neither of Russian authorities discriminatory, nor in violation of the Roma community’s right to property. ‘The failure to find that the community held any property rights in a village they had occupied for decades, in addition to the failure to consider the Russian authorities’ motivation for the evictions, shows a fundamental misunderstanding of both the Roma way of life and their continued mistreatment by the Russian authorities,’ says Lucy Claridge, Legal Director of MRG. ‘The right to property and the right to non-discrimination are enshrined in the European Convention on Human Rights, but these are not the lived experiences of Roma communities across Europe,’ Claridge added. 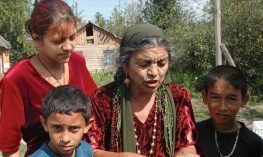 In May and June of 2006, the Russian authorities demolished and burned down approximately 43 family homes of the Roma community whilst homes in the same area owned by Russians were left standing. The Roma community had been living in Dorozhnoye village since the 1950s. Six Roma families complained to the European Court of Human Rights that the demolition of their homes, the forced eviction, loss of possessions and the resulting separation of their families was motivated by racial prejudice towards them as Romani people. 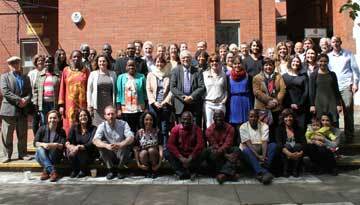 In 2014, the MRG and the ERRC submitted a third party intervention in the case in order to provide expert evidence to the European Court of Human Rights on the right to respect for private and family life, the right to property, and the right to non-discrimination, rights enshrined in the European Convention on Human Rights. While highlighting the experience of the Roma community in Russia, the ill-treatment of Roma is a Europe-wide problem. ‘This case represents the crisis facing European Roma. We are seeing a wave of forced evictions of Roma across the continent, flagrantly breaching the human rights of Romani people. This is just the beginning of our work to support Roma in fighting back and asserting their right to respect for their families and their homes,’ said Dorde Jovanovic, President of ERRC. Forced evictions are not stand-alone incidents for the Roma community. Rather, they reflect the extreme level of social exclusion of Roma in European society with evictions impacting upon a vast array of human rights. Today was a missed opportunity to provide greater guidance to governments on the steps they must take to ensure that the right to non-discrimination is fully respected and that the right to property is only interfered with in legitimate circumstances. MRG and the ERRC will continue to fight against illegal, and often racially motivated, forced evictions of Roma, and make sure racial prejudice does not cloud the judgment of authorities in issues concerning Roma access to housing.